In rare cases, Avast AntiTrack Premium may slow down your browser, prevent certain webpages from loading, or prevent email attachments from downloading. If you experience this issue, we recommend following the steps in this article to resolve the issue. 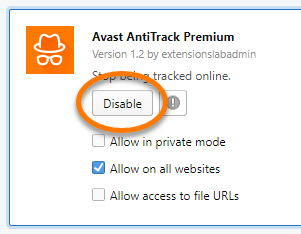 If, after updating your browser, Avast AntiTrack Premium is still blocking or slowing down webpages, then follow the steps below. Click Settings in the bottom-left corner of the user interface. Click Enable tracking detection to untick this option. Click Browsers from the left-side panel. Click the green (ON) slider next to the affected browser, so it changes to red (OFF). If none of the above steps solve your issue, remove the Avast AntiTrack Premium browser extension from the affected browser by following the relevant instructions below. Click the Avast AntiTrack Premium icon on the Google Chrome address bar and click Avast AntiTrack Premium. Click Remove in the dialog box that appears. 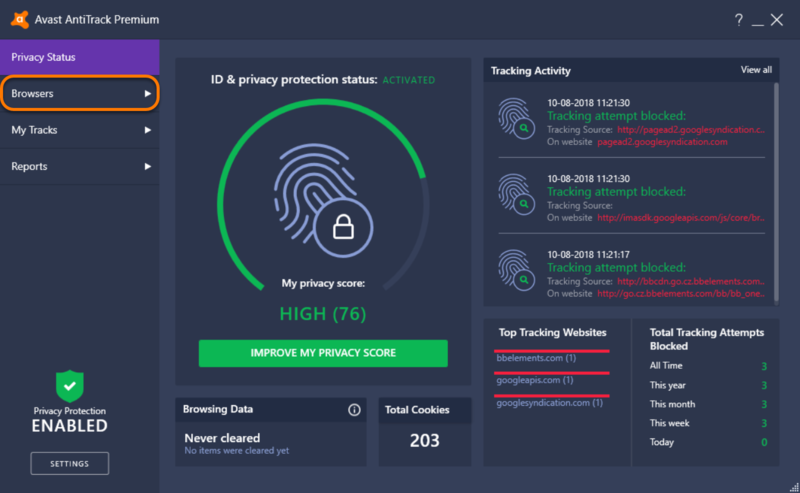 The Avast AntiTrack Premium browser extension is now removed from Google Chrome. 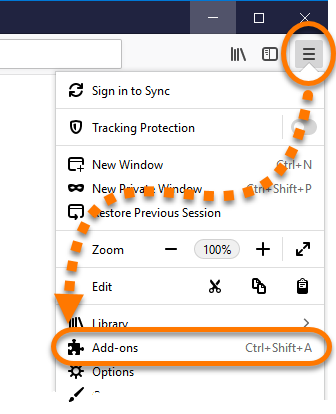 Click ☰ Menu in the top-right corner of the Mozilla Firefox browser, then select Add-ons. Select Extensions from the left-side panel, then click Remove next to Avast AntiTrack Premium. The Avast AntiTrack Premium browser extension is now removed from Mozilla Firefox. 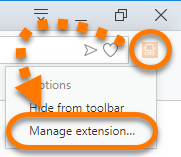 Right-click the Avast AntiTrack Premium icon on the Opera address bar and click Manage extension. Click Disable below Avast AntiTrack Premium. 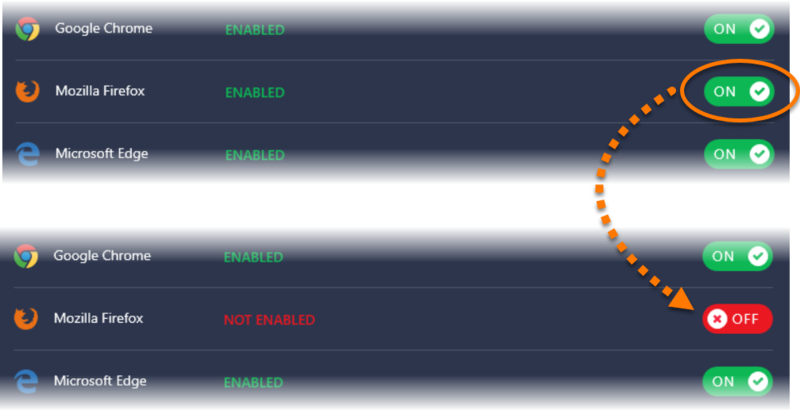 Hover your cursor over Avast AntiTrack Premium, then click the X icon which appears in the top-right corner of the panel. Click OK to confirm removal. The Avast AntiTrack Premium browser extension is now removed from Opera.